You need a development company that's as passionate about your website as you are. Thankfully you found us! 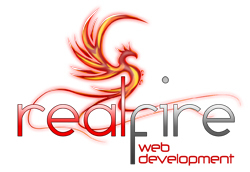 Based in Pretoria, South Africa, we are a team of designers and developers with a passion for all things web related. We provide fresh, professional, high quality, custom web development and design solutions that work for you. Yes, that's quite a mouthful! With over 10 years of development experience we are guaranteed to have the solution that best fits your requirements. Anything from a simple website, CMS solution or eCommerce online shopping cart all the way up to complex web applications and database driven solutions. We adhere to industry best practices and implement the latest in stable and well developed coding standards ensuring high quality, reliable results for you and your business. We love what we do, and so will you! Visit us at http://***/ for more information.